Paul is Temple Emanu-El's new executive director. Born and raised in Flushing, New York, Paul has always been active in the Jewish community, particularly in synagogue life. Throughout his teenage and early adult years, Paul sang in his temple's High Holiday choir and led its youth services. Upon moving to Providence in 1989, Paul brought his skills to Temple Emanu-El, where he became a service leader and Torah reader, an active participant in the temple Choral Club, and a long-time songwriter and performer in its hallmark Purim Spiel. 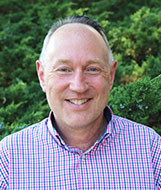 Paul formerly served as Temple Emanu-El's Ritual Director and on its Board of Directors, with stints as Treasurer and Vice President for Financial Development. Community-wide, Paul has taught at the Jewish Community Day School and has served on the Boards of Jewish Family Service and Harry Elkin Midrasha. Prior to assuming his admistrative roles at Temple Emanu-El, Paul was the executive director and owner of The Princeton Review of Rhode Island. He holds a BA in Mathematics from Rhode Island College and MS in Finance from Boston College. Paul is blessed with the love and support of his wife, Donna, and their daughters, Abby and Zmira. Ronni began her career in Jewish communal service while still a student at the University of Rhode Island. Teaching in day and supplemental schools, programming in agencies for the elderly, and working as an educational director, Ronni credits her own camping experience as the most influential marker in her career choices. 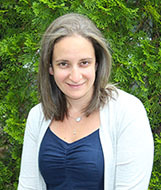 She has been the educational director at Temple Torat Yisrael and the South County Hebrew School. Ronni has taught in the Temple Emanu-El Religious School for several years. Ronni is the director of Camp Avoda and a member of the third cohort of ELI (Executive Leadership Institute) directors. She has completed Chazon, a program in visioning for Israel education, participated in The Goodman Initiative, a program designed to improved Israel and Jewish Education in camping, and has completed Lekhy Lakhem, an educational program sponsored by JCCA. Ronni is blessed to be the mother of Ilana and her husband, Gabriel, Sari and her husband Leo, Aaron and his wife, Hillary, and Deena. She is also Bubbe to Noa, Ruby, and Saffron. Shoshana Jacob, nee Shoshie Miller, was born, bred and raised at Temple Emanu-El in Providence. She credits her time spent at both the Alperin Schechter Day School and Temple Emanu-El for her deep love of Judaism and Jewish education. Shosh was part of Providence USY, as both a member and eventually a board member and present when they won International Chapter of the Year. Her time in Providence USY helped shape her life and put her on the path towards Jewish informal education. Upon leaving Providence, she went on to get her BA in Judaic Studies at the University of Hartford. Shosh has been working in the Jewish community as an educator, Youth Director, and Family Programmer since graduating in 2006. Shosh is truly honored to be back at Temple Emanu-El and hopes to be able to give to the youth and young families what Temple Emanu-El gave to her and her family. She recently moved "home" (back to Providence), with her husband, Josh, two children, Meital and Avi, and dog Bailey. 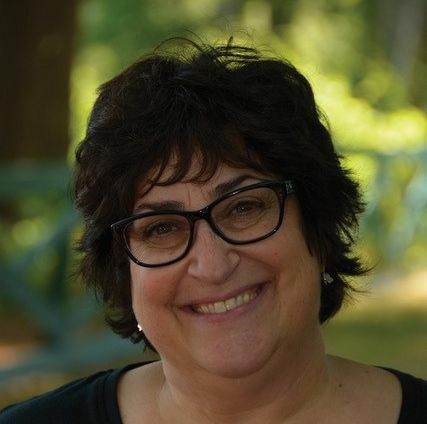 Sharon Sock has been an active member of the Rhode Island Jewish community for most of her life. Sharon grew up at Temple Am David in Warwick, attended the Providence Hebrew Day School and the Harry Elkin Midrasha. She was very active in USY both on a local and regional level. Sharon has dedicated herself to engaging families in Jewish life and helping them create happy Jewish memories. She is the co-creator of the long-running Shalom Friends™ early childhood program, and has volunteered for a variety of Jewish and non-Jewish community organizations. Sharon has organized countless events, coordinated community outreach efforts and designed promotional materials for print, social medial and the web. Sharon lives in Providence with her husband, Garrett and is a mother of three boys, Kevin, Reese and Cooper.